1. 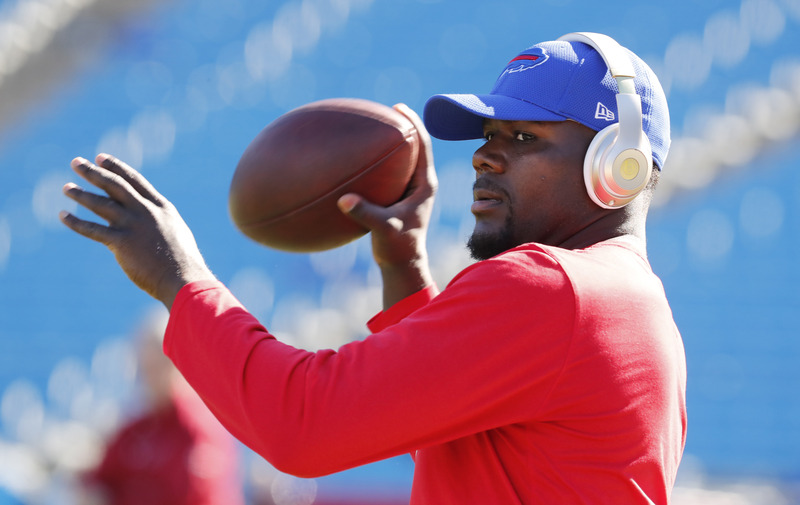 Cardale Jones was not going to be part of the team this season. During offseason workouts, he was treated as an afterthought. There were three quarterbacks who took snaps and threw passes: Tyrod Taylor, T.J. Yates, and Nathan Peterman. Then, there was Jones, who was squeezed into practice for brief showings and seemed to be just filling a uniform rather than a legitimate spot on the roster. Wednesday's trade that sent him to the Los Angeles Chargers gave the Bills a conditional draft pick. That's akin to a bag of footballs, but it's better than nothing. And the Bills were destined to go the nothing route for a player in whom they invested a fourth-round draft pick because Jones was destined to be released, probably early in camp. It made sense that the Chargers were the one (only?) team willing to make a deal for him, because their new coach, Anthony Lynn, was the Bills' offensive coordinator and interim coach during Jones' rookie year in 2016. Lynn saw what everyone else saw from Jones: big arm, but rawness everywhere else. But Lynn also sees great potential for development, mainly from the national championship he helped the Ohio State Buckeyes win during an abbreviated college career, and the Chargers needed to do something to help their depth behind Philip Rivers. 2. The easy assumption after the Jones trade is that Sean McDermott moved out the quarterback prospect he inherited to help fast-track the one he selected, Peterman, in the fifth round. Maybe that's true, although Peterman needs to make big strides from what he showed during the offseason. During sessions open to the media, he was wild on a number of throws and often struggled with reading coverages. That's pretty much par for a rookie, although if the Bills have high hopes for Peterman grabbing the No. 2 spot behind Taylor right away, he has to validate their high opinion of him in a hurry. The fact Peterman played in a pro-style offense at the University of Pittsburgh should work to his advantage. However, it doesn't assure him of anything in the NFL -- at least, not right away. Working with a wide assortment of wide receivers vying for pretty much every spot below Sammy Watkins (assuming he's healthy enough to be on the field for long stretches) won't make it any easier for Peterman. 3. Yates' five years of NFL experience and thorough understanding of the scheme of new offensive coordinator Rick Dennison is an obvious reason to assume Yates has the inside track to become Taylor's understudy. He needs to show more than that, of course, and his struggles during the offseason were not encouraging. Yates doesn't have a great arm and he doesn't share the considerable athleticism of Taylor or Peterman. Yates doesn't have to be spectacular, but he does have to be consistently solid. Based on what he showed during OTAs and minicamp, that's far from a lock. He, too, will have his issues dealing with a receiving corps that the Bills still are looking to upgrade. It's entirely possible they'll look to add an experienced reserve quarterback at some point before the start of the regular season.